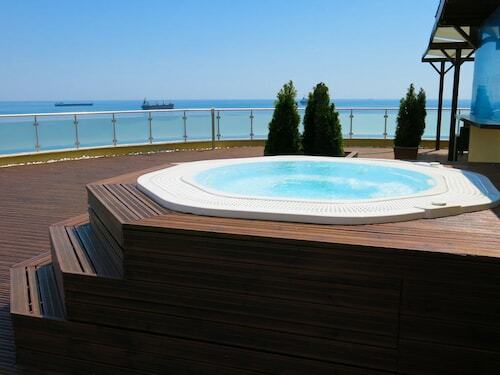 Situated by the sea, this spa hotel is within 1 mi (2 km) of Varna Aquarium and Sea Garden. Varna Archaelogical Museum and Ethnographic Museum are also within 1 mi (2 km). Located in Varna City Centre, this luxury hotel is within a 15-minute walk of Varna Archaelogical Museum and Sea Garden. Varna Aquarium and Ethnographic Museum are also within 15 minutes. 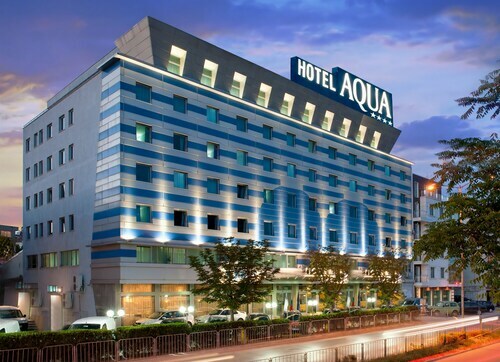 Located in Varna City Centre, this hotel is within 1 mi (2 km) of Varna Aquarium and Sea Garden. Ethnographic Museum and Varna Archaelogical Museum are also within 15 minutes. This family-friendly Varna hotel is located by the sea, within a 10-minute walk of Saints Constantine and Helena Central Beach, Sunny Day Beach, and St. St. Konstantin and Elena Monastery. Cabacum Beach and Euxinograd are also within 2 mi (3 km). 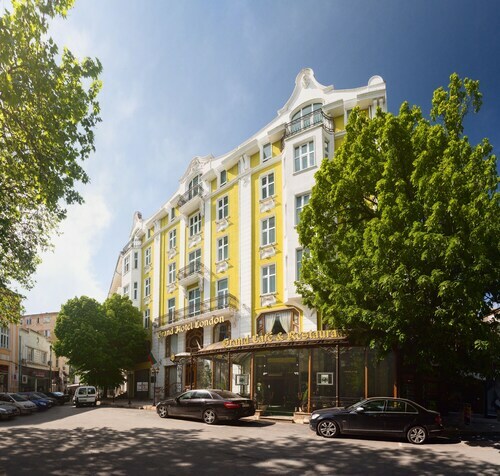 Nestled on the beach, this Varna hotel is within 12 mi (20 km) of Dormition of the Mother of God Cathedral, Ethnographic Museum, and Varna Archaelogical Museum. Varna Aquarium is 11 mi (17.7 km) away. 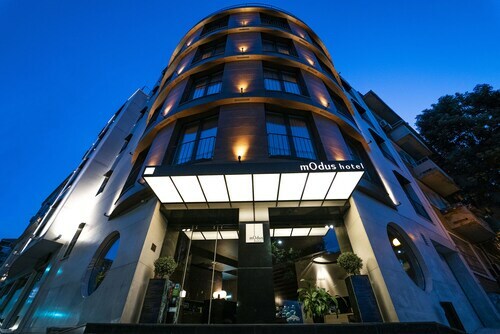 Located in Varna City Centre, this hotel is 0.3 mi (0.6 km) from Ethnographic Museum and 1.5 mi (2.5 km) from Sea Garden. Dormition of the Mother of God Cathedral and Varna Aquarium are also within 1 mi (2 km). 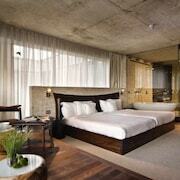 Located in Varna City Centre, this luxury hotel is within 1 mi (2 km) of Ethnographic Museum and Sea Garden. Dormition of the Mother of God Cathedral and Varna Aquarium are also within 10 minutes. Situated near the beach, this luxury hotel is 1.1 mi (1.7 km) from Ticha Stadium and 1.5 mi (2.4 km) from Sea Garden. Euxinograd and Varna Aquarium are also within 3 mi (5 km). Nestled on the beach, this Varna hotel is within a 5-minute walk of Sunny Day Beach and Saints Constantine and Helena Central Beach. Cabacum Beach and St. St. Konstantin and Elena Monastery are also within 1 mi (2 km). How Much is a Hotel Room in Varna? Hotels in Varna start at $36 per night. Prices and availability subject to change. Additional terms may apply. Varna - North Black Sea Coast offers a number of suburbs in which to stay, like Varna, which you'll find situated 3 miles (4 kilometers) to the southwest of the city center. 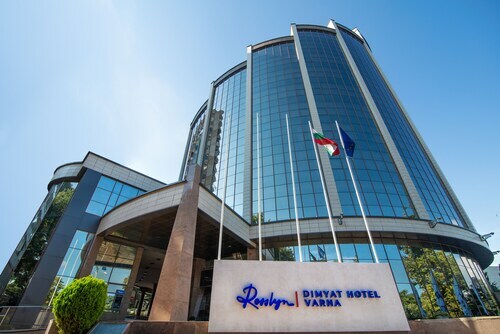 If you and your friends are planning a trip to Varna, the Dallas Residence and Graffit Gallery Hotel are just around the corner from the Sea Garden. Additionally, the Grand Hotel London and Hotel mOdus are closer to the Varna Aquarium, should you prefer. If you are visiting Varna, you will find a large list of accommodation choices, such as the Focus and Plaza Varna, that will help you meet your budget. Are you and your travel companion planning an adventure in Varna - North Black Sea Coast? If you can't find the perfect accommodations in Varna, look into securing a room in one of the nearby destinations, Golden Sands and Golden Sands. 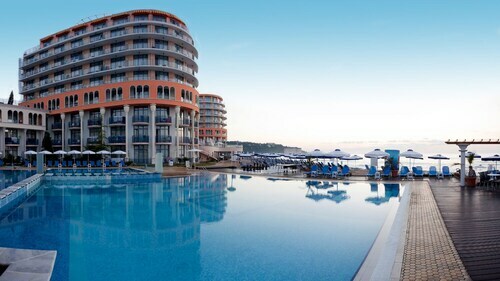 Travelocity's user-friendly booking portal features some Varna - North Black Sea Coast options. Needs remodel. 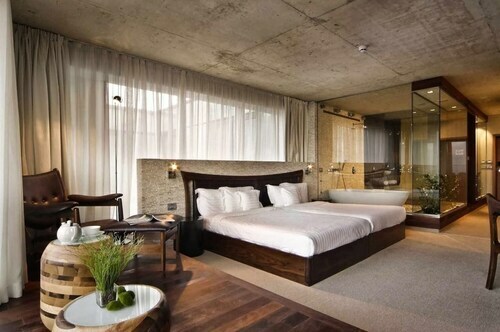 Rooms are very worn. Staff not very helpful.